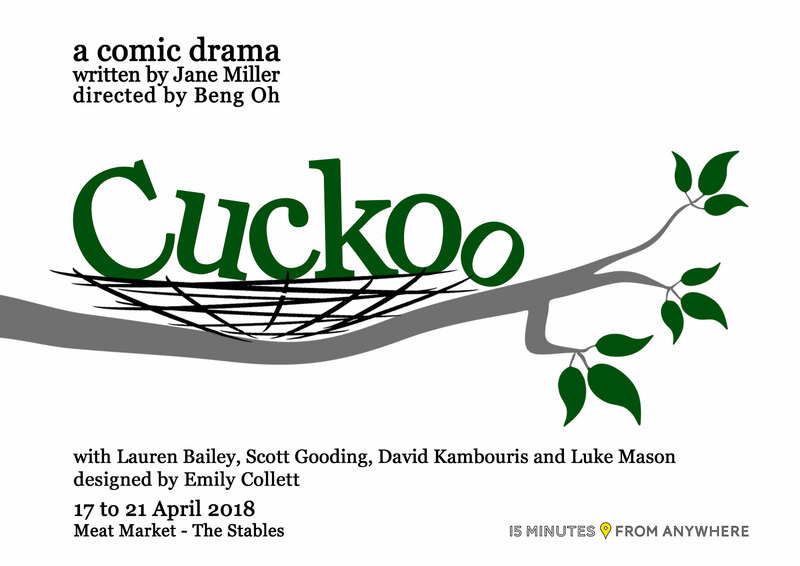 15 Minutes from Anywhere presents a new production of Jane Miller’s comic drama, Cuckoo. Mel and Leo are like a lot of couples. They live in the present, accommodate the past and anticipate a future consisting of half-made plans they’ll probably never realise. One night a young man arrives on their doorstep with tales of amnesia, stolen bikes, Russians and an almost insatiable appetite for toast. Could he be the son they lost 12 years earlier or simply a clever stranger seeking to inveigle his way into their home? Past and present collide as Mel and Leo, with their friend Dan, navigate truth, loss, belief and the true cost of happiness. 2018 Green Room Award nomination for writing. Your tickets have been emailed to you, however please consider the environment before printing them out.